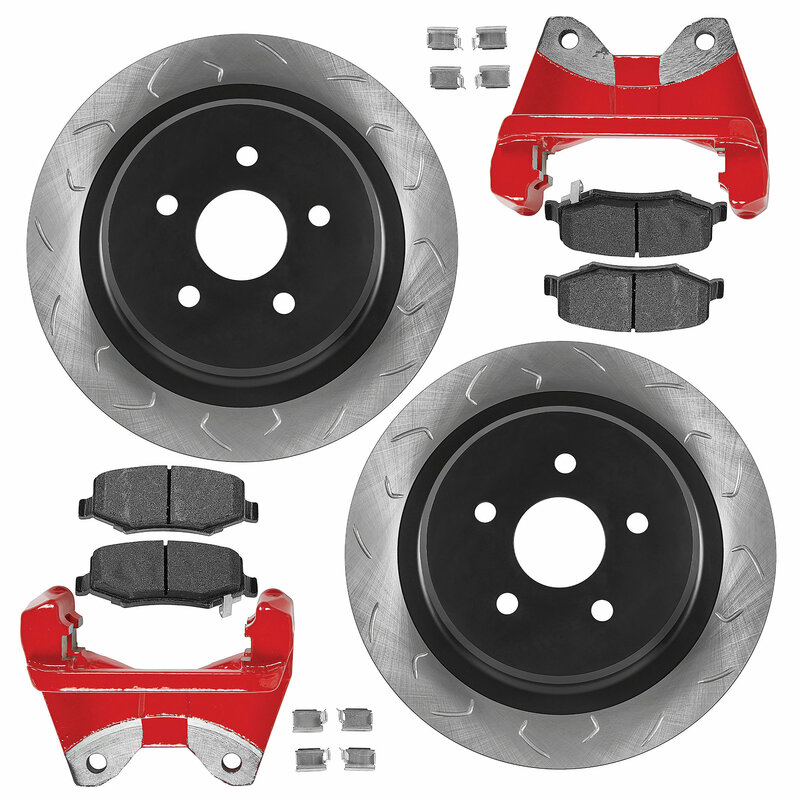 G2 Axle & Gear has the solution for the person looking for massive braking power on a vehicle that has been lifted and has oversized tires.The oversized rotors (front and Rear) with the larger caliper brackets, extend your OE calipers further from the centerline of the wheel and create more leverage to increase the stopping power. 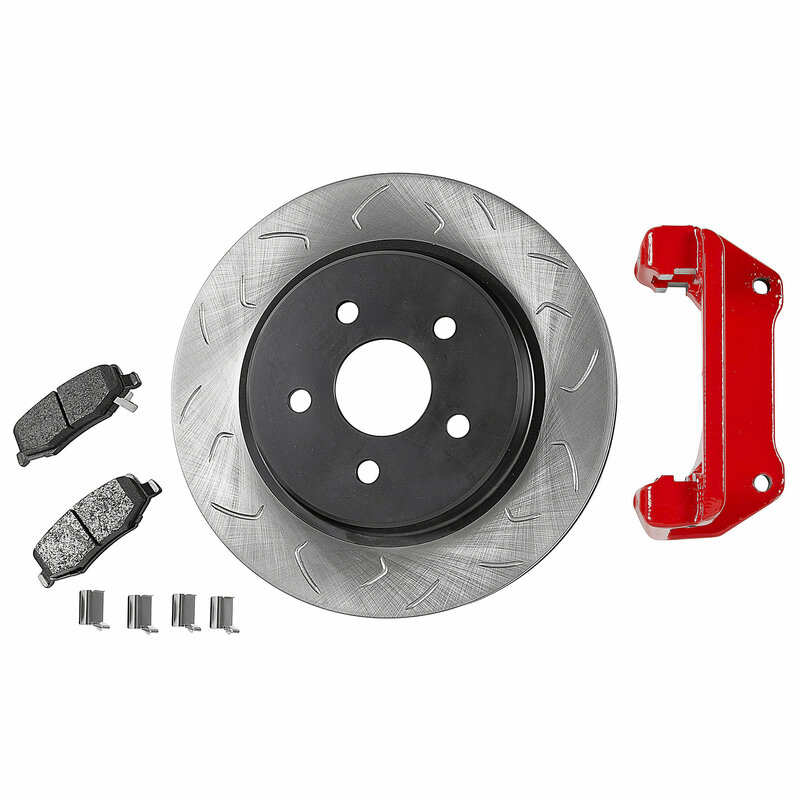 Mill balanced slotted rotors dissipate heat and gasses to reduce brake fade. 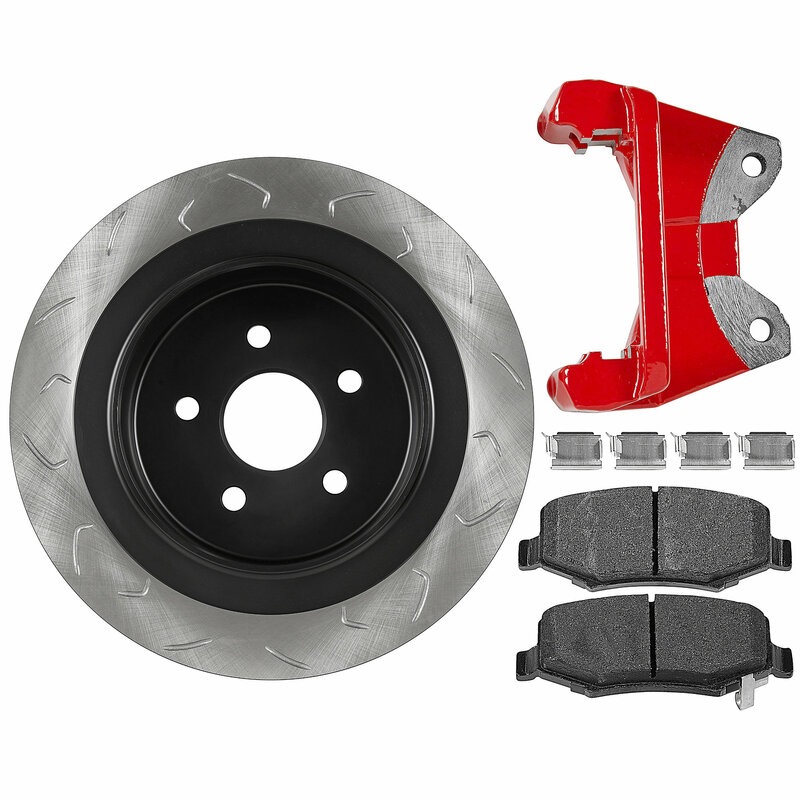 Posi quiet ceramic brake pads enable superior braking performance, low dust and cleaner wheels.This kit will provide the safety and control you will need during minor or emergency braking situations. Larger Rotor: Oversized front (13.5") and (14") rear rotors increases leverage and improves braking performance over OE rotors. E-coated: Rotors are E-coated adding anti-corrosion protection from extreme conditions. Curved shaped slots: Mill balanced slotted rotors Strategically distributed across the rotor face allows for even dissipation of heat and gas from friction surface. 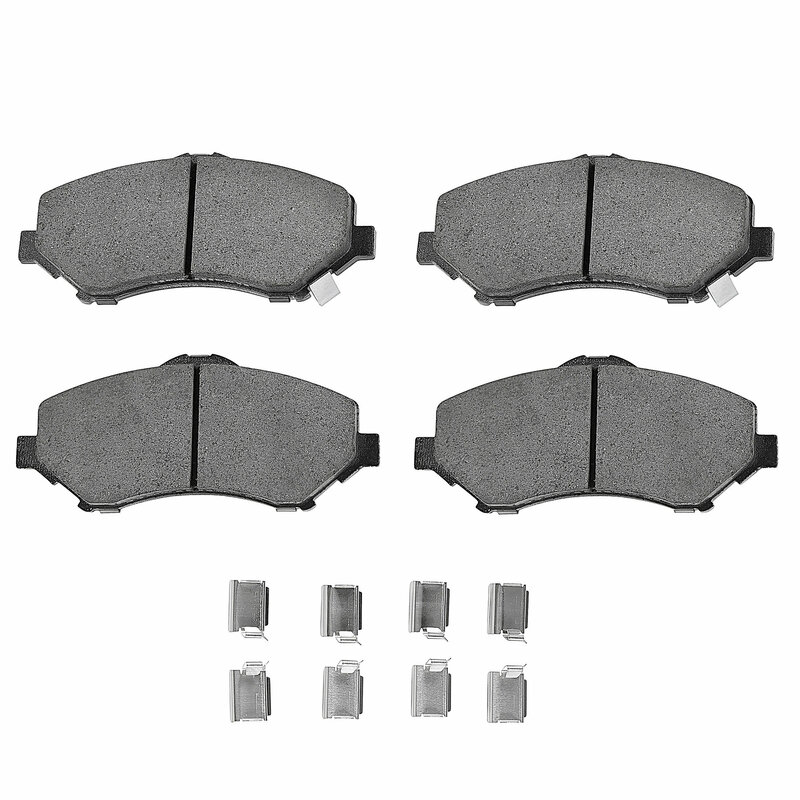 High Performance Brake Pads: Ceramic pads provide superior braking performance and are Dyno tested for maximum service and life. Caliper Relocation Bracket: Extends out to match oversized rotor and allows the use of your stock calipers. 90 days on finish. 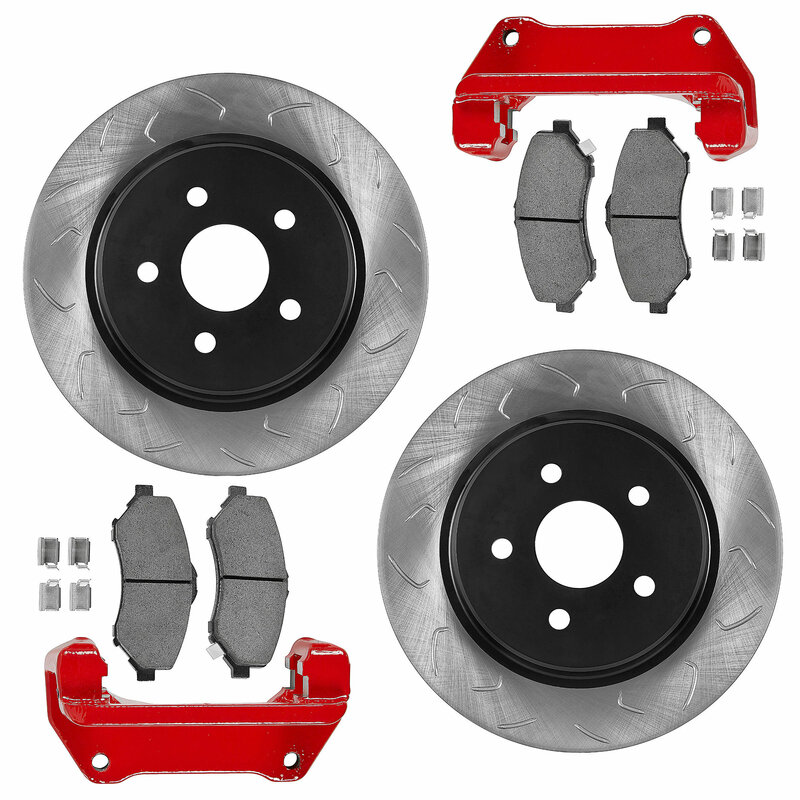 Parts subject to normal wear, such as pads and rotors, are not covered under warranty. 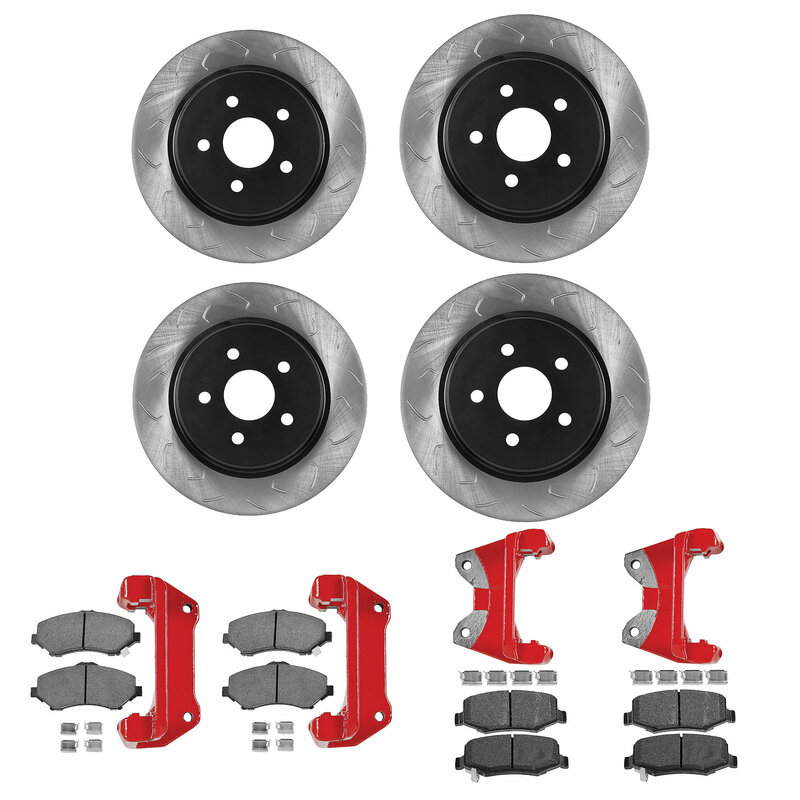 Just recently purchased this kit, BIG difference with the braking performance of my 2012 JK 4 door. I have 37 inch tires with a winch, heavy bumpers, and a lot of other hardware and it stops phenomenally better than stock rotors. There are no instructions with this kit (pretty easy to figure out with minimal mechanical knowledge) as well as grease to put on the rear of the brake pads. Make sure you have some grease when you are placing the clips. I would highly recommend this kit.